Product code: 1367 Categories: Sold Items, Sold Rings. Here is a very attractive antique diamond ring perfect for any finger for any occasion, and also capable of being a very unique and special antique diamond engagment ring. Made in the early part of the 1900’s, this ring is made in 18ct white gold and set with 10 diamonds that total 1.30 carats in weight and certainly have a great amount of sparkle to them all. This antique diamond ring will always get attention and always be admired for its beauty. 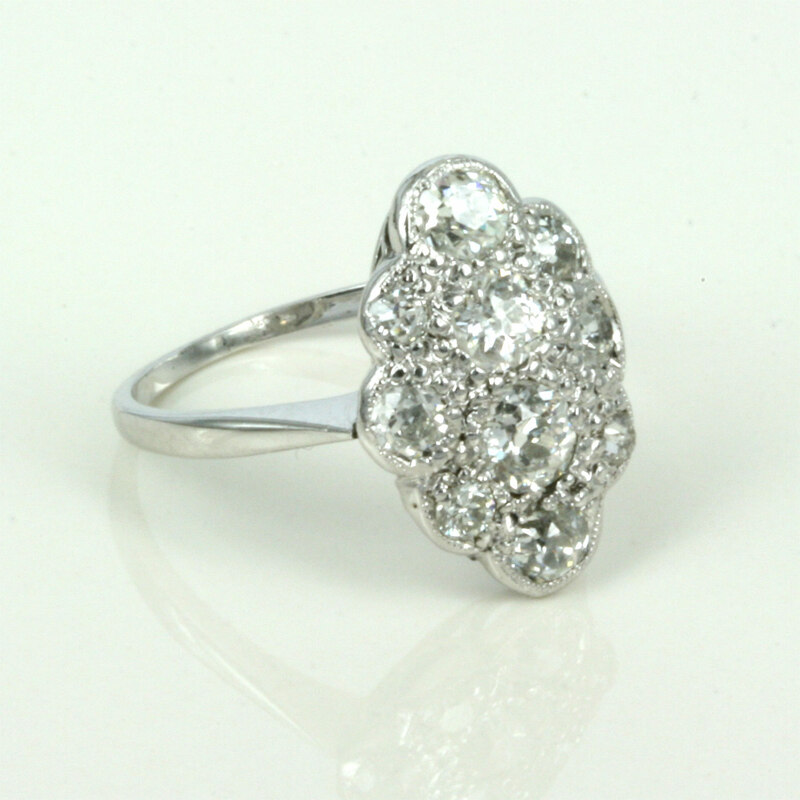 A sensational antique diamond ring with alot of sparkle.